With a great location, comes a great lifestyle. At Pebble Cove Apartments, we offer both. 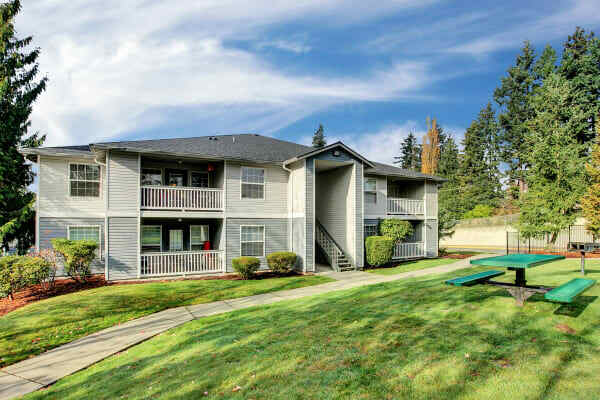 Conveniently located, we offer an unparalleled living experience in Renton’s Fairwood neighborhood. We’re close to the places and services you require to meet your daily needs. Shopping, dining, healthcare, entertainment, recreation, and education – all within minutes of your home at Pebble Cove Apartments. When it comes to choosing a new apartment, the neighborhood makes a big difference. For many residents, Fairwood offers many big draws. You’ll never be short on entertainment, dining, and recreation when you call the Fairwood neighborhood of Renton home. Pick up groceries at Safeway inside the Fairwood Shopping Center. Check out a book from the Fairwood Public Library and take yourself on an adventure through space, time, and reality. Finished the book? Head to the movie theater at Westfield Southcenter to see the film adaptation. Living in Fairwood has many benefits, including a close proximity to Squak Mountain State Park Natural Area and Lake Youngs. Lake Youngs features a 9.8 mile trail loop that’s great for all skill levels. Lake Youngs is also perfect for hiking, mountain biking, horseback riding, trail running, and walking. Enjoy access to the great outdoors, while still being close enough to city conveniences. Get to know the neighborhood and see how much fun you can be having in Fairwood. Contact Pebble Cove to schedule a tour of our Fairwood apartments for rent near Fairwood Shopping Center.